Map showing location of Taupo accommodation with thermal pools . Use the controls on the map to zoom in and out. CHELMSWOOD MOTEL -Amazing thermal pool in room. just had a hip replacement and this was great for my rehab. Beautiful lake view room spotless and lovely little extras, green tea, range of teas and hot chocs. Great stay in Chelmswood Motel in Dec 2010. Lakeside Studio with a private thermal pool in the room. Really luxury feeling of soothing soak. Total relaxation. Value for money, clean, private. Wake up looking over Taupo lake. Lakefront Motor Lodge Thermal Spa: Our Hot Thermal Mineral Water is one 100% from way down deep. 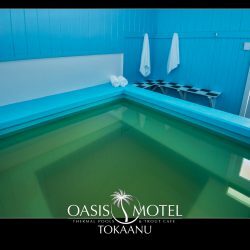 We are not the Newest Motel in Taupo but we are continually making it newer and newer. We are Spotlessly Clean and most units have a Private Thermal Mineral self filling pool. We will make your Stay really worth while.